Marvin is a marvel because, at 56 years old, he’s in fantastic condition. But he’s not a genetic freak, or stoked up on drugs. He’s been training since he was 17, but he’s never competed in bodybuilding—he never had the required genetics, or the foolishness to use bodybuilding drugs. But now, 39 years later, his physique is something to behold even for a well-trained natural bodybuilder in his forties, let alone someone close to 60. But Marvin doesn’t do anything that the rest of us can’t. He doesn’t have special training equipment or facilities, or a personal trainer, or full-time dedication to bodybuilding. He leads a busy life, and is a professional man with a demanding schedule of work. But he makes time for his training, and he also makes time for proper eating and sleeping habits. Marvin is marvelous because he follows the rules of successful bodybuilding, and has done so for several decades. If you follow the same rules for long enough, you can be a marvel, too. But when Marvin was in his teens, he followed conventional training methods for a couple of years, made very little progress, and used to consider himself to be a hardgainer. But once he became bodybuilding savvy, and trained and recuperated properly, he started to make terrific progress and no longer considered himself to be a hardgainer. Every gym I’ve trained at had members who’ve trained for many years. A few of them have done well, most never seem to change much, and some look steadily worse primarily because they allow their bodyfat to increase. Merely having trained for a long time doesn’t necessarily qualify someone as being training savvy. 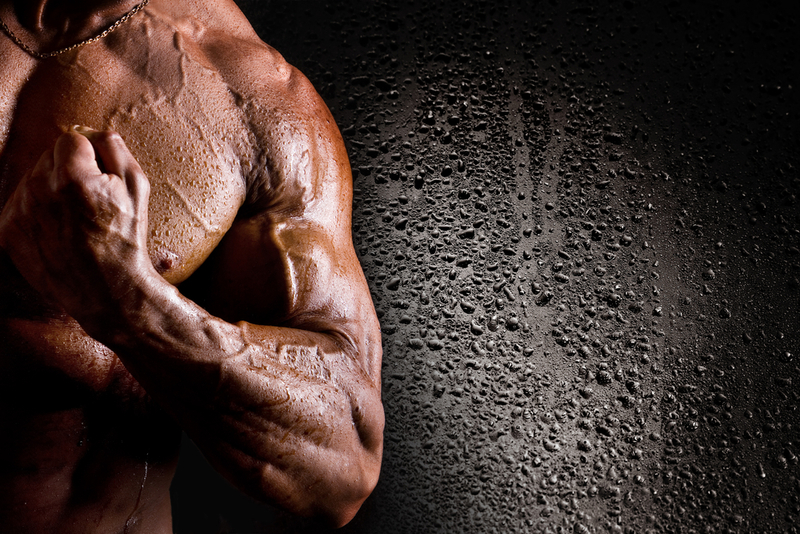 Many bodybuilders make the same mistakes year after year. Whereas most bodybuilders use incorrect exercise form, Marvin uses impeccable form — correct bar pathways and a controlled, smooth rep speed. And that’s why he never gets injured. He keeps his workouts abbreviated so that he can maintain a high level of effort and avoid overtraining. He does just two well-designed workouts per week. Although he no longer uses progressive poundages, because he’s at his full strength potential for his age and ability, he has to train hard to maintain his strength. He trains harder than the youngsters at the gym, and much heavier than most of them, too. Immediately after each weights workout he stretches and then does a brief but hard bout of cardio, to give his heart a thorough workout. Marvin is a treat to watch, and the gym’s best role model. And out of the gym, he’s a model of consistency with his recuperation. He always eats well, never eats any refined or processed rubbish, fully satisfies his nutritional requirements without overeating, and gets about eight hours of quality sleep every night. He’s never smoked. And he never has more than two alcoholic drinks a day. He keeps himself flexible, with a 30-minute session of stretches twice a week. And whenever he feels any muscle or joint glitch, he visits a soft-tissue therapist to get the problem fixed pronto. He still squats, deadlifts and bench presses intensively with free weights. He’s taken such good care of himself that he has no physical restrictions. He isn’t trying to lose weight — he’s lean enough already. He does his weight-training and hard cardio in the morning after breakfast. This may produce the “afterburn effect” to yield calorie burning for some of the rest of his workout days that may be additional to what he would burn had he not exercised. He has more muscle mass than he would if he didn’t train with weights, which boosts his caloric needs. He’s active out of the gym, and walks several miles a day, which further boosts his caloric needs. He never eats processed food — no junk food, fast food, fried food, or anything with refined sugar or high-fructose corn syrup in it. He never snacks in front of the TV. He eats a wide variety of food, rich in vitamins, minerals and essential fatty acids. He takes food supplements in small quantities, for nutritional insurance. He eats a fiber-rich diet. He eats a substantial breakfast every day. He eats often, and varies his intake somewhat on some days, but he always keeps his average daily caloric intake at about 2,600. He eats primarily for nourishment, not entertainment. He drinks a lot of water, and keeps himself fully hydrated. In short, there’s nothing that Marvin does that you can’t yourself. Apply for a few years what Marvin has applied for several decades, and make yourself into a bodybuilding marvel.